A New York City lawmaker wants to ban restaurants from selling a French delicacy because of the “egregious” treatment of animals used to make it, the New York Post reports. “Force-feeding a bird for the sole purpose of making it sick to create some bizarre delicacy is gruesome and inhumane. This may have been acceptable in 2500 BC but I think we know better now,” Democratic Councilman Justin Brannan, who backs Rivera’s ban, said. Restaurants and vendors that violate the ban would be charged with a misdemeanor crime and potentially fined $1,000 with up to one year in prison. The proposed ban comes weeks after the U.S. Supreme Court rejected a challenge to California’s ban on the delicacy. A nonprofit representing Canadian duck and goose farmers appealed to the court to review the state-wide ban that went into effect in 2012, according to Reuters. The California ban threatens establishments that serve the dish with a $1,000 fine and an additional $1,000 fine for each day the restaurant is in violation. Chefs and restaurateurs in The Golden State are pushing back against the ban and some are flatly refusing to abide by it. 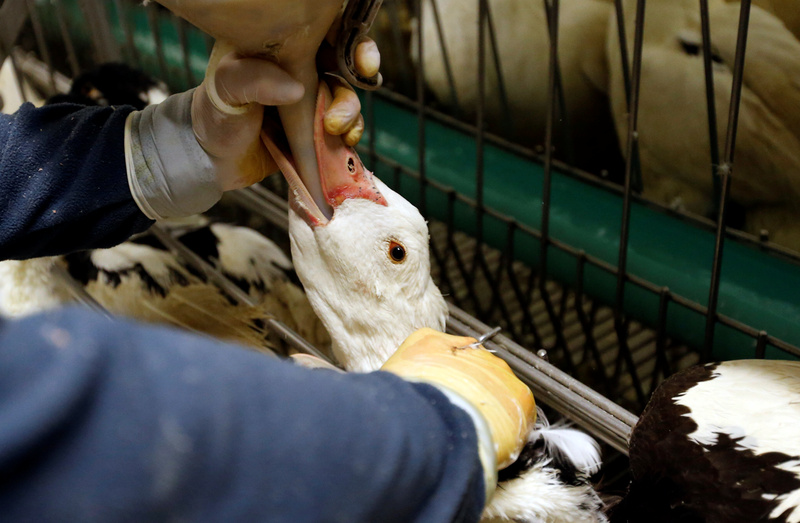 “Nobody needs to take foie gras off the menu tonight and we certainly aren’t,” Ken Frank, a chef in a French restaurant in Napa Valley, told the Los Angeles Times after the Supreme Court decision.